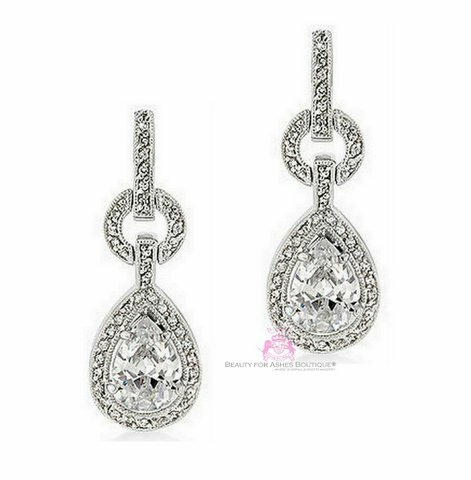 Gorgeous Princess Earrings are fit for a Princess with these over-the-top teardrop cubic zirconias measuring about 34MM from top to bottom and 11mm wide at the widest part of the teardrop. (1 1/4" x 1/2") Super sparkly, this photo does not do justice to these earrings. They are bold yet dainty. Made of lead-free base metal, with fantastic rhodium plating for a hassle-free tarnish-free upkeep.